Polperro, Cornwall: watercolour by my father, Robert Tainsh Munn. Hello. And welcome to this new website. 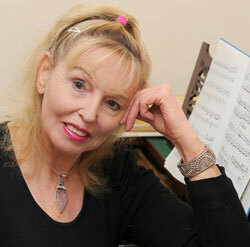 I’m Lesley Duncan, a Scottish journalist and poetry editor, who also writes poetry. My hope is that the site can offer an online forum not just for my own writing but for that of fellow poets in Scotland - and further afield. The appreciation of poetry (and skilled verse) seems to come naturally to Scots. No doubt Robert Burns is largely responsible. His words - whether the sublime love songs, his paeans to radical idealism, his humorous pieces, or devastating tilts at hypocrisy - are embedded in the national psyche. Does any other country celebrate a creative rather than a political or martial figure as its hero? Well, perhaps Poland with Chopin. But even Shakespeare is not accorded the accolade of annual worldwide feasts in his honour. That being said, I don’t much care for the rigid format of Burns Suppers, which often seem to have the inflexibility of a pseudo-religious rite. An end to haggis-stabbing! Sadly, apart from Burns competitions, the learning of poetry has become unfashionable in today’s schools. More’s the pity, for children’s blotting-paper minds would allow them to retain gems of human insight for a lifetime. The older generation know the truth of this. Liz Lochhead, Scotland’s new Makar (nationalpoet@spl.org.uk), has pled for a return to learning poetry in schools. How good that would be. However, the instinct to articulate and explore reactions to the great (and lesser) issues of life through poetry is as potent as ever. Poetry groups all over Scotland are flourishing, and offering participants the pleasure of airing and swapping new work. There's a dedicated Scottish Poetry Library in Edinburgh. This website will, I hope, contribute in a modest way to furthering the cause. You may have noticed that there’s a reference to art in the heading, and also that there are watercolour landscapes above this introduction and the other sections of the site. These are by my late father, Robert Munn. Both my parents were artists and I have many artist friends. I envy the corporeal presence of my friends’ big, bold canvases. There must be a great physical satisfaction in this form of creativity. It’s some consolation, I guess, that paintings have a unique presence that can only be approximated by reproduction, while poems (a slim volume may represent twenty years’ endeavour!) can be endlessly replicated without losing anything of their essence. Here’s to all the arts! I hope you will enjoy dipping further into this website.